Discoloration of the skin, blemishes, and dark spots are something most of us deal with. Even if we take the absolute best care of our skin, we might have discoloration from past skin troubles. Moreover, some people have what is known as hyper-pigmentation. Basically, this means that excess melanin production will cause discoloration or patchiness in certain areas of the skin. The root cause can be traced back to many factors including a variety of health problems, inflammation, pregnancy and other serious hormonal changes, sun exposure, burns, and even emotional stress. 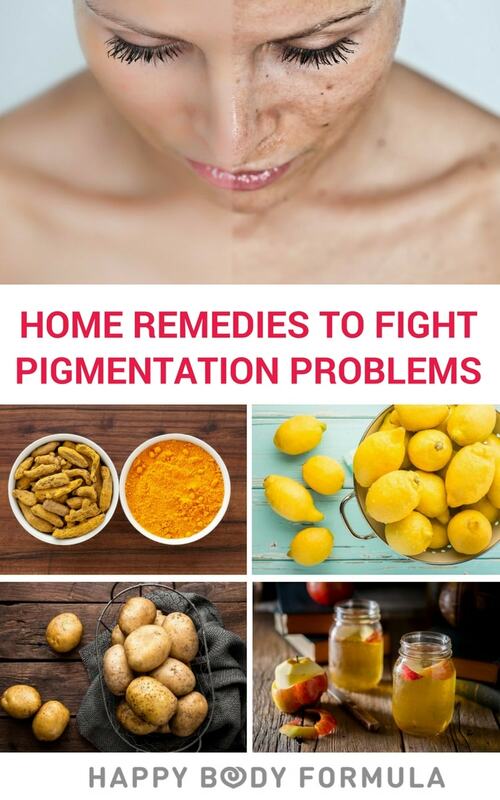 Whether you have hyper-pigmentation or just a few sun spots and acne scars you want to reduce the appearance of, chances are, you have some of these all-natural toners to use just lying around the house. Learn more about the best DIY remedies for color correction. Seriously… what can’t you use apple cider vinegar for?! It’s as crucial in both the kitchen and the bathroom as coconut oil is. This stuff is a miracle for skin, and it works as a natural toner. It’s great for reducing dark spots and clearing up any problem areas in which patchy skin appears. The reason why is because of its acidity. It’s a natural astringent, and that acid makes it perfect for gentle exfoliation, removing dead skin cells from the surface and even offering up a deeper clean. Too much apple cider vinegar is a big no-no, and it can dry out skin. Skip out on those plastic beads in popular, drugstore exfoliation scrubs for a blend of equal parts ACV and water. Use occasionally on clean skin to tone, applying with a cotton ball or cloth. Get apple cider vinegar. Yes – really! These spuds are good for more than roasting or mashing. Catecholase is an enzyme found in potatoes, and it’s thought to aid in lightening skin tone. It also contains niacinamide – a subsidiary of niacin which is a B vitamin that also has helpful skin benefits. There are a number of ways you can use potato for dark spots or hyper-pigmentation. First, you can simply cut off a slice of potato and drop some water on the inside. Follow up by rubbing it onto the affected areas for around ten minutes and wash with warm water. You can also squeeze the juice from the potato and mix it with equal parts lemon water (you’ll see why next). Blend and leave on the face for 20-30 minutes before washing off for a quick (and budget-friendly) mask. Like apple cider vinegar, lemon has similar properties when it comes to toning the skin due to its acidity. Citric acid can actually work to bleach the skin which can help reduce the appearance of hyper-pigmentation and fade out dark spots and blemishes. Plus, it’s great to add to your water in the morning. Good hydration is a vital step in keeping up good skin! You can use lemon up to twice a day on the skin. For best results, use fresh lemon squeeze, and apply with cotton balls. You can leave it on problem areas for 10-20 minutes, but make sure to wash it off afterwards. It also makes a great DIY face mask when paired up with honey – a natural antimicrobial that will help clean things out and clear up acne. If you skin is sensitive, it’s recommended that you dilute lemon treatment with water. Turmeric is the king of anti-inflammatory spices. This golden powder has been used in Ayurvedic medicine for centuries as a natural remedy for just about everything. Inflammation can cause or worsen dark spots on the skin, so unsurprisingly, turmeric works as both a dietary supplement and a topical treatment. You can try it in a variety of turmeric-infused recipes, or use it as a treatment. It also happens to have bleaching properties, despite its aggressive orange-yellow hue. Mix a teaspoon with a teaspoon of lemon juice and mix. Apply to the face for 20 minutes before washing off before showering – just make sure to hold off sun exposure for around an hour! Alternatively, you can mix it with milk or coconut milk to make a paste. Massage for five minutes, let it sit for 20 minutes, and rinse. Find turmeric powder here. Vitamin E is one of the most essential nutrients for clear and healthy skin, so it’s no surprise that it can help with evening out the tone of your skin. Considering its powerful antioxidant properties, it’s key for protecting the skin, repairing the skin, and neutralizing UV damage to the skin. Along with a good sunblock, you can help reduce discoloration via the sun with vitamin E.
Simply apply vitamin E oil to the skin, focusing on problem areas, 1-2 times per day. For the best results, you should massage it into the skin for about ten minutes each time, and most importantly, be consistent in your practice! Purchase vitamin E oil. Do you have dark spots or hyper-pigmentation? Share your own remedies or product recommendations with us. We hope you enjoyed this skincare series on Happy Body Formula. We can all afford to take care of our skin better – from the inside out. Want More Home Remedies Like This? 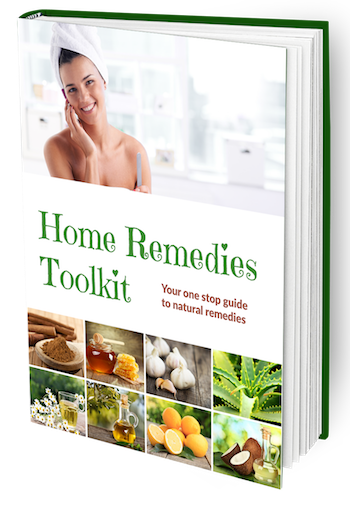 Then get yourself a copy of the Home Remedies Toolkit downloadable guide with 215+ DIY recipes for making your own natural health and beauty products and non-toxic cleaning supplies. Each recipe is beautifully presented with stunning photography and will save you a fortune as you discover how to stop buying toxic products for your home, health and beauty regime and instead replace with better, greener and cheaper alternatives. Get your copy here.